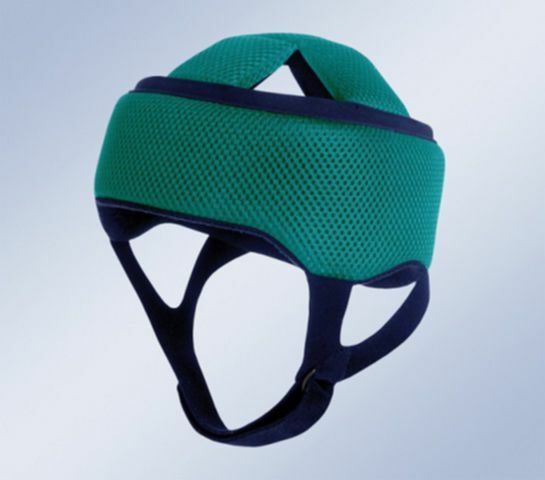 The lightweight helmet is made of breathable padded foam and has an interior terry lining and honeycomb fabric covering, providing great strength and durability. Supplied with chin strap and adjustable closure. Indications: Patients with infant cerebral palsy, Haemophilia, Ataxia, Spasticity and in all cases where there is a risk of cranial contusions. Size: 46, 48, 50, 52, 54, 56, 58, 60 cm Forehead circumference in cm.